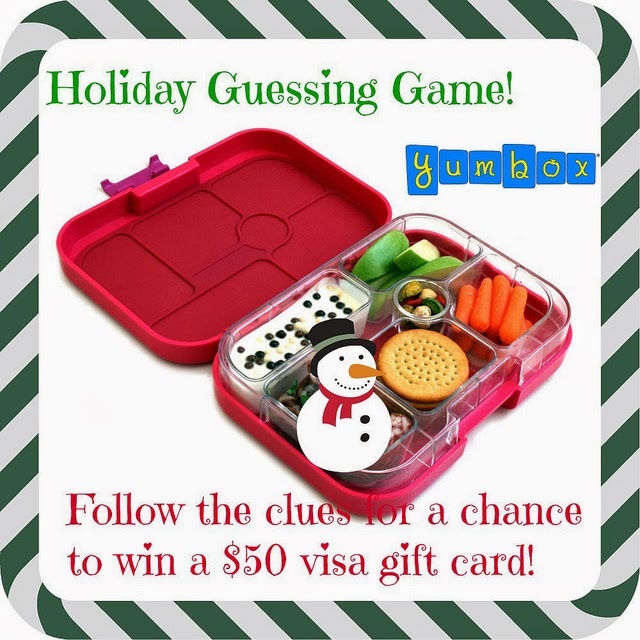 Yumbox is hosting an exciting Holiday Guessing Game that will give you the chance to win 1 of 3 $50 VISA gift cards (U.S. participants only)!! Every day this week Yumbox posted or will post a Yumbox with one of the sections hidden. If you guess correctly what is under the graphic you will be entered to win! One of my lunches is being featured in the Holiday Guessing Game today! Head on over to Yumbox and check it out and see if you can guess what is in the mini round container! 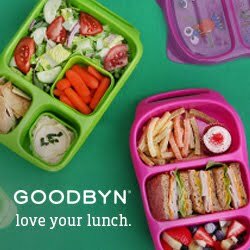 And Yumbox has generously offered you a 15% off discount which is good through the end of this week. Enter code HOLI15MB at checkout on the Yumbox site!